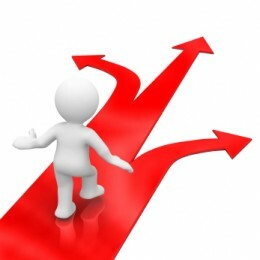 How to choose a career ?! To choose a career for some of us is a really haaaaard thing! There are sometimes a lot of options, but other times we are getting lost because we don’t even know what we want or what we CAN do. The 3 last school years I was so sure about the career I’m going to choose, and was so happy about that, but now… I am really lost. I know what I want to do in the future, but it doesn’t mean that I am excited to study all that stuff, so there came a moment when I wasn’t sure that I chose the right thing for me. I started to panic until I found some sites that helped me a lot. They don’t tell you the exactly career you should choose, but there are a lot of job- options, so you can investigate each one and see what it involves and what you should study for doing that. And now the most important part: be prepared! Don’t think that choosing a career like for example “Marketing” you will study just that, because even if you like this or you think you understand it, then you should know that you will have to study much more things that you can’t even imagine that they exist. So I really hope the sites will help you, at least a little bit, because sometimes this “little” thing also matters.